Tagged as: East Street, St. Hilda's area. 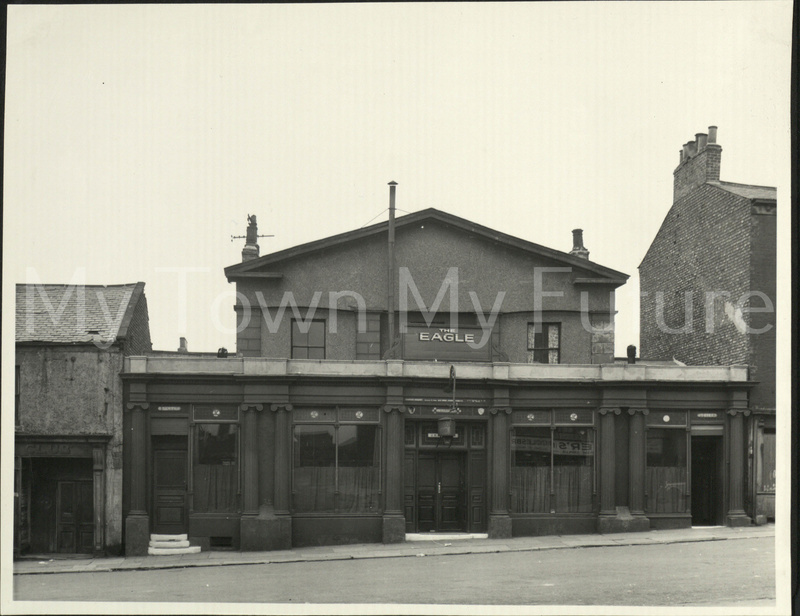 A photograph of the Eagle public house, East Street, St. Hilda’s area. I assume the date 1857 refers to when the pub was first built/opened, as that looks strangely like a TV aerial on the left hand chimney pot, unless it is a fault on the photo ?